The Asus ROG Phone may not be the only gaming smartphone coming from the company, with hints already being dropped that the Taiwanese firm may have more up its sleeve. 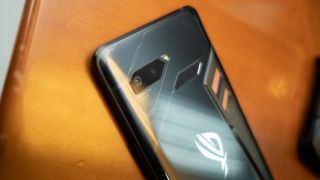 While the company didn't specifically say there will be more ROG branded smartphones, Derek Yu, head of Asus' ROG division, said that the market response to this device could spark more. When asked whether the ROG Phone is the first in a line of devices, Yu said, "We've got a lot of ideas, believe me." Yu also said that Asus is working with mobile game developers to have games support the phone's configuration. Most of the current crop of mobile games aren't designed to run at the 90fps that the ROG Phone supports, so Asus' handset is ahead of the curve in that regard, just like the Razer Phone before it. Yu confirmed that Asus is working with developers in various countries to bring support for the ROG Phone's features. Of course, that won't be easy, considering that smartphone games are usually designed to run across a range of devices, fast and slow. That said, with games like PUBG being played on phones, it could be a matter of time before heavier specifications are required. That said, Yu didn't comment on whether big developers like Gameloft are onboard yet. The Asus ROG Phone has an overclocked Snapdragon 845 chipset, running at a max clock speed of 2.96GHz, 8GB of RAM, 512GB storage and it’s the world's first phone to use vapour-chamber cooling technology. The company is yet to announce the pricing for the smartphone, and it should be on sale before the end of the year.